ATL Events Group captures attention and directs it to your brand. Our event-based approach surpasses the power of traditional and digital advertising alike, establishing competitive dominance for your product. Our team will get people talking. In addition to the resulting word-of-mouth marketing, they’ll be compelled to keep coming back for more. 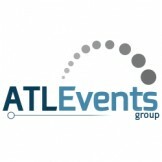 At ATL Events Group, we leverage all our resources with consumers in mind. Getting to know the habits and preferences of every targeted audience, we optimize engagement and return business. No other firm can offer such high-level outcomes. We’re committed to the growth of the brands we serve, our company, and our people.